This wheel is not chrome, but does have a 7.75" diameter to fit 475-775 Cushman tires. 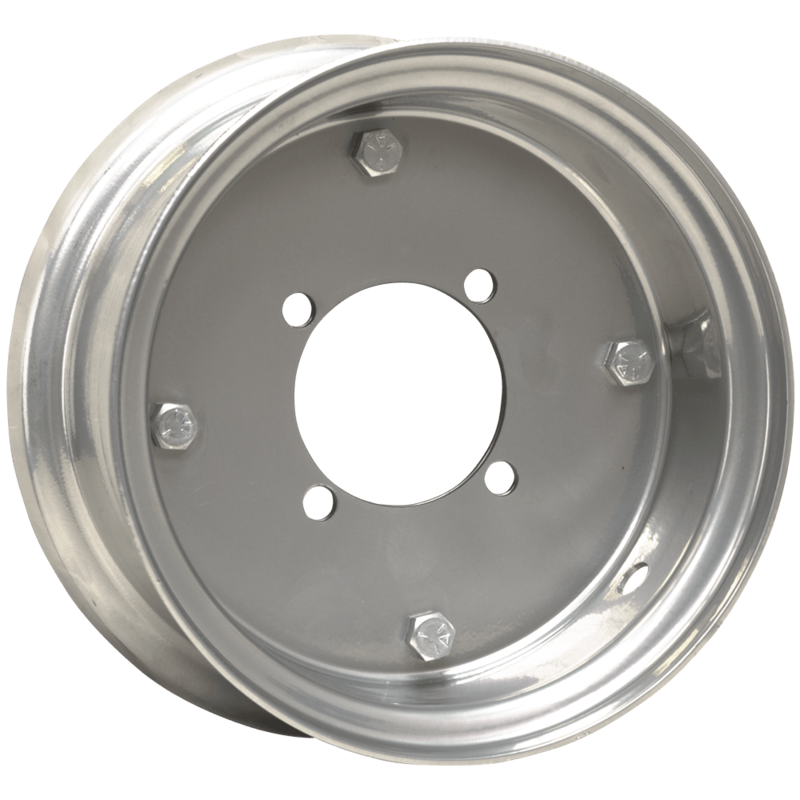 This wheel is only available as shown, with a plain metal finish. what is the bolt pattern and where can I veiw the center cap options available? The bolt pattern is 4x7. There are no center cap options available as this wheel is made for the Cushman Super Eagle 100 motorcycle. Feel free to view the specifications tab for other required specs.